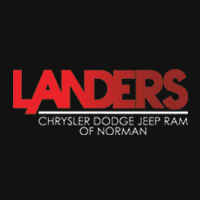 At Landers Chrysler Dodge Jeep Ram of Norman, we want every aspect of your vehicle-buying experience to be smooth sailing. Our finance office is here to help you along every step of your purchasing process. We’re here not only to help answer any questions, but it is also our goal to assist you in attaining the best customized car loan or lease available to you. The Landers’ way is about more than finding you your dream vehicle; it’s about finding you the perfect affordable pricing plan to go with it. If you’re looking seriously at purchasing a new or used vehicle, we would be thrilled to chat with you about the possibilities. Visit us at 481 N Interstate Dr, Norman, OK, or give us a call at 855-858-7675, and get started on the road to automotive excellence!